Electric Blue Sun plays original music with a contemporary jazz sound that mixes the styles and elements of the more popular keyboard oriented cool jazz bands like David Benoit, the Yellow Jackets, The Crusaders, and Pat Metheny Group with a more electric guitar edge similar to bands like Chick Corea's Electric Band, Spyro Gyra, George Benson, and The Jeff Beck Group, but also keep their feet grounded with such jazz greats as Vince Guaraldi of Charlie Brown Christmas fame and Ramsey Lewis. And they also cover some of the timeless tunes from the above selection of jazz musicians that are always crowd pleasers. The collaboration of musicians Buzz Rogowski on keyboards, Jeff Wittekind on guitar, and Bob Dickey on drums creates a chemistry condusive to this type of music, each adding their own unique chromosomes to the genetic fusion of this three-headed dragon. will be performing in the upcoming weeks and months at a few different venues and festivals in the Seattle area. Composer Buzz Rogowski has been performing his unique solo piano compositions at some incredible venues lately. And there are more coming, and some shows are free. The full band will be performing July, 4th, 2012 (Wednesday) Port Townsend Brewery Patio Stage, Port Townsend (in Boathaven) 5pm-8pm. 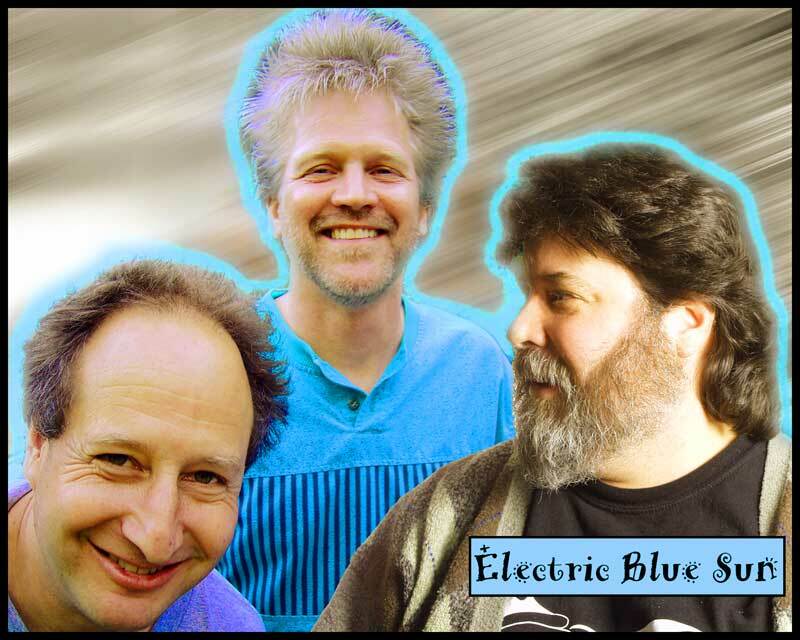 In August, Electric Blue sun will be perfroming at The James Center for the Arts in beautiful Carrie Blake Park in Sequim, WA. The Art Center has a great outdoor amphitheater. 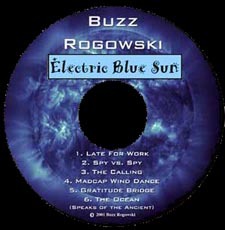 The complete Electric Blue Sun Concert Calender is kept up to date on the EBS myspace page.